Baked Cider Doughnuts are delicious and a great alternative to fried versions without giving up flavor. 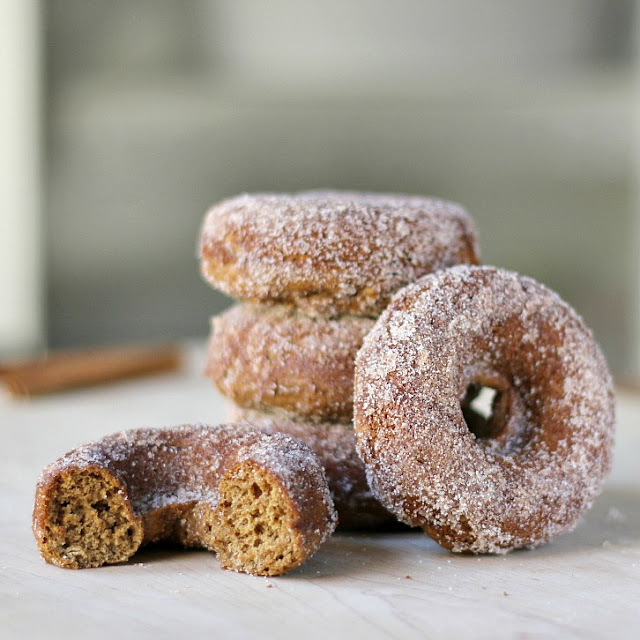 Made with apple butter, cinnamon and maple syrup then rolled in more cinnamon sugar, they are a fall food favorite. In medium bowl, whisk together first 5 ingredients. In large bowl, whisk together remaining ingredients. Fold wet ingredients into dry ingredients blending just until combined. Spoon about 2 1/2 Tbs. batter into pan cavities or use a piping bag, fitted with large round open tip to pipe into pan. Bake 10 minutes. Cool several minutes. Run a knife around edges of donuts and flip out onto a cooling rack. Brush melted butter onto each doughnut and roll in cinnamon sugar. Cool pan and re-spray before proceeding with each batch. Yum. Can't wait to try. These look great and I've got a donut pan ordered at the local kitchen store so I can make them next weekend. One question: I was going to make my own apple butter and was wondering if you had used sweetened or unsweetened? Thanks! Those donuts sound and look so yummy! 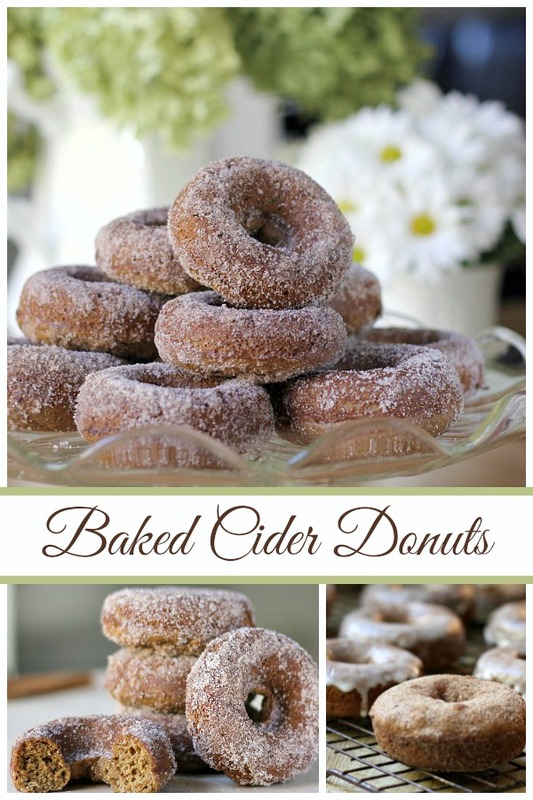 I love cider donuts and these look beautiful and delicious. My mouth is watering, dear friend, and I am ever so thrilled and thankful that you've finally linked up with Wednesday's WOW. You have one of the prettiest blogs around, and I feel honored to be thus connected. Blessings! PS…Our first two initials are the same. My stands for Larri Dawn. What's your middle name? 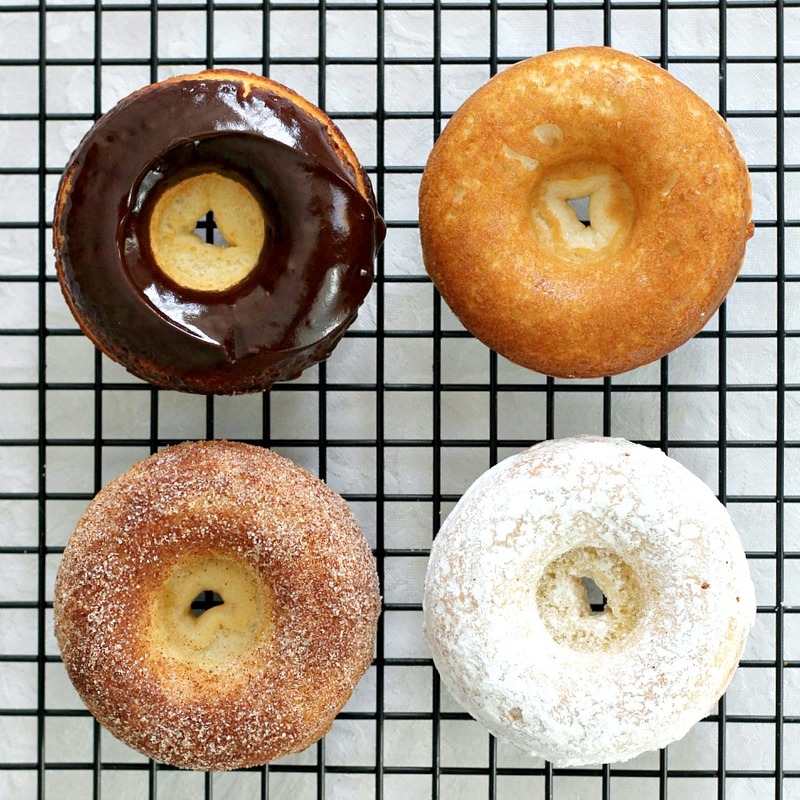 My partner has been asking me to make doughnuts for so long, I think I could make these ones they look delicious. If only I could reach through the computer and take a bite yum! Thank you for putting up this post.. 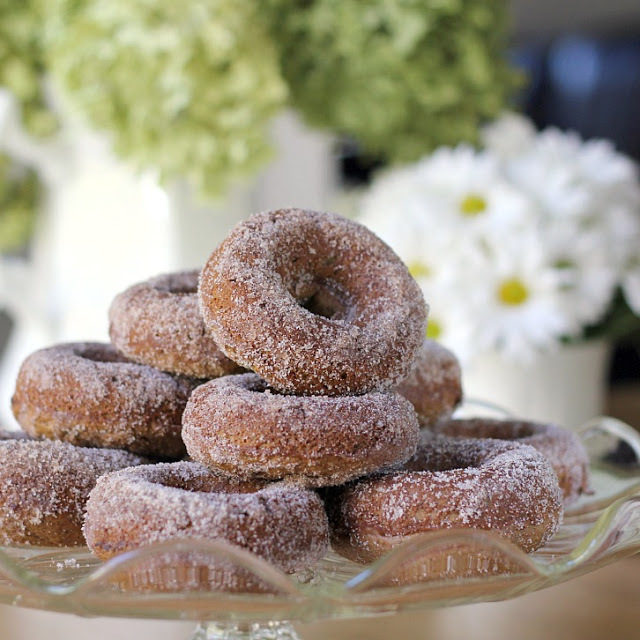 I've wanted a recipe for doughnuts and now I'm going to buy the pan… yummm! Those sound perfect!! Love all those ingredients. Will have to try, thanks for posting!! Oh Lorraine these look fabulous. Best part is, these are baked and not fried. Love all your post too! Thank you for stopping by my blog and leaving a sweet note. Makes me want to reach in and grab, one. looks so yummy. Thanks for sharing. I've been waiting for you to make these & oh my, they look fabulous!!! I love all your recent posts! The baby caught is such a wonderful series … you could publish that! The color is so good too! I made your pumkin scones for the book club, if you saw the post! Enjoyed by all (the scones). Let's see, a cider doughnut or peach yogurt? How could anyone serve these yummy looking doughnuts and be turned down? I know people who would be thrilled if I made these. OH WOW…does this ever sound and look good…yum. this further tempts for one of those pans! This sounds so good. I am going to have to get a pan and get busy. You really are making me want to buy one of those donut pans!!! These look fabulous! Hope you're having a good day! They look fantastic, reminds me of the cider donuts we used get when my kids were small and we took them apple picking! I have a jar of homemade apple butter, leftover from a recent canning jamboree that got out of control, so I need nothing, but an appetite, to recreate these, and I was born with that. Hope you enjoy your day, Lorraine.